“CHANGE² – change squared” – it is under this motto that the Mannheim city administration introduced a comprehensive modernization process. The regional center of the Electoral Palatinate area of Germany is seeking to become one of the most modern city administrations in Germany. During the renovation project, a management information system was generated. The management information system offers a resource for decision-making and provides city administrators in particular with streamlined information about managerial goals and financial and personnel indexes. At the same time, a personnel controlling system should allow the responsible employees to review personnel data as a basis for rendering proper decisions. Mannheim is the regional center of the European metropolitan region of RhineNeckar. The Electoral Palatinate city situated on the confluence of the Rhine and the Neckar is divided into 17 districts and is also referred to as the “square city” due to the down-town streets being layed out in the shape of a grit. In order to come closer to the goal of a management information system, the city of Mannheim decided to adopt Ingentis org.manager. Beforehand, the city had an SAP human resources system for administering personnel data. Ingentis org.manager will be used to graphically depict the organizational structure in conjunction with personnel indexes. Via a direct interface, Ingentis org.manager has been linked to the city’s SAP human resources system to allow the personnel data in that system to be visualized in graphs. The users do not have to install the program on their own computer. The only thing that is required is a link on their desktop. As a result, the city of Mannheim is provided with 18 clearly organized personnel and organizational reports, which can be retrieved in Ingentis org.manager through a fully-automated process, depending on the authorization level. These reports extend from a simple organization chart as a background to reports on budget expenditures and demographic figures. In employee lists which can be displayed below the organization chart, personnel managers are offered detailed information such as names, e-mail addresses, and telephone and room numbers. All tables and diagrams can be exported directly from the reports and used in presentations as well as other documents. A uniform database and definition of indexes helps avoid misinterpretations. information on the percentage of all permanent employees within the city administration who are working parttime. The “Personnel structure” report provides data on the entire staff. As a baseline report, it distinguishes between permanent staff, temporary staff, trainees, employees of the Federal Volunteer Service, employees with separate contracts in the national theater, and those on vacation. The scheduled report “Age-related fluctuation” also makes it possible to identify when certain specific positions will become vacant upon retirement. The personnel budget report provides an overview of the current budget and available financial means. This also includes a budget forecast for the end of the year that is based on the figures from personnel cost planning. A tachometer chart identifies budget items. Red numbers stand out for emphasis. Department managers can react immediately and deal with the relevant department. The cost and performance accounting report is similar which itemizes distributed costs and facilitates communication between central finance administration and departments. 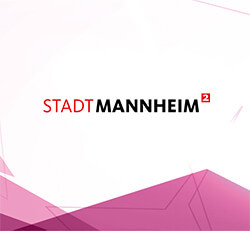 The future consolidation of CHANGE² in the city of Mannheim will focus on depicting further key performance indicators and forecast reports as part of the personnel requirement planning process.